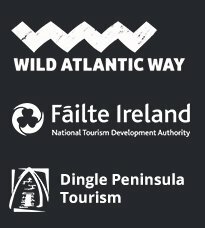 If you are planning a visit to the Dingle Peninsula this summer, or indeed if you are already here, we would like to interest you in the idea of a guided walk here on the Dingle Peninsula. 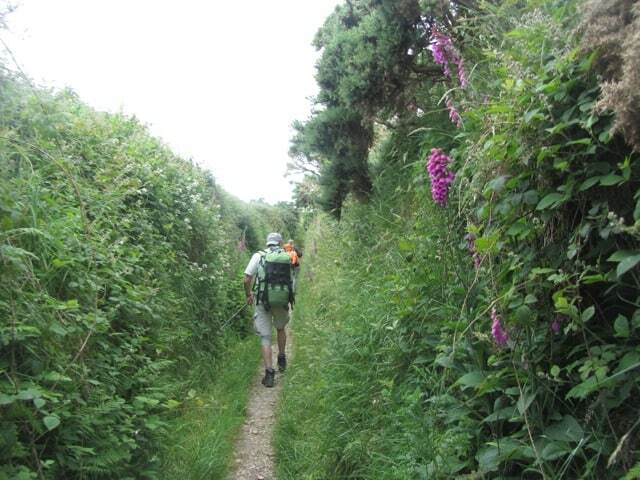 We, at Celtic Nature, believe that walking and talking are great ways to both experience the beauty of the peninsula and enter into the story of the people in whose footsteps we walk. 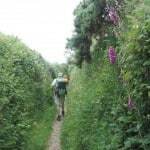 We have planned a series of guided walks from easy to challenging to suit your timeframe, ability and desire. Easy – Join us on an hour and a half stroll through the story of Dingle Town – Past and Present. 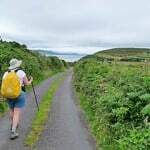 Not so hard – Stretch your legs on a 2-3 hour easy hike by coastal cliffs along the Wild Atlantic Way where we talk ancient Ireland, the myths and history and the local story. Challenging – Take to the hills. Climb Mount Brandon. You have traveled far to come to this special place. We invite you to take the time to fully experience this inspirational landscape and enter the story of the Dingle Peninsula. 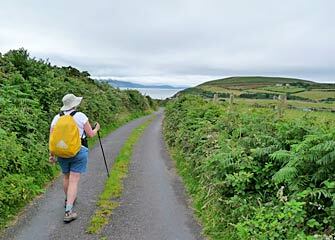 We have visited Kerry and Dingle many times but on our most recent visit we took a guided walk with Kevin. We met Kevin in Dingle and took a short drive over Slea Head Drive and then veering onto a secondary road upon which we journeyed up to point at the base of Croagh Muirhen. We climbed the Croagh and were rewarded at the summit with 365 deg. views of the peninsula coastline and Dingle countryside. The sight was breathtaking. We didnt find the climb to the top of the hill difficult because Kevin adopted an easy pace that allowed us to be comfortable. We really got to know the geography of the area and we listened to many stories and interesting facts pertaining to the area and its culture. Having descended the Croagh we drove on down and after some light refreshments we set off on a gentle walk around the headland between Dunquin and Ballyferriter. It was a beautiful walk through rock and heather with breathtaking views out over the Blasket Islands and the Atlantic. The coast line is very dramatic with fallen cliff rocks suspended at angles in the atlantic waters. It is very obvious that Kevin knows this area like the back of his hand and throughout our walks related various points of interest and told us facts, stories and focloir of each area. We could feel the love this guy has for the area and he manages to instill its magic into his audience. This walk has given us new perspective and deeper understanding of the the area together with some very special memories of the day. Kevin is the very best guide I have ever had and I saw so much of the land, mountains and sea. The stories about a land he loves will always be in my heart and soul. In my wildest dreams, nothing could have been more perfect. To get to know Dingle, you must spend the day with Kevin and invite your friends. Thank you Kevin for your history, mythology, and the secret of Dingle. It’s not about buying worldly gifts or things that consume much of my time but bringing me back to what is truly important. Dingle now holds such special memories and I will return and book a group of us. Claire is also so knowledgeable and kind and she can help you with so much. To meet both Kevin and Claire, was meeting dear friends that you have known for a lifetime. Thank you Claire and Kevin! !